Kathryn Norcross’ awareness of educational injustice began in high school, where she attended a giant school of 3,000+ students in Orlando, Florida. She was fortunate enough to be in International Baccalaureate and Advanced Placement classes, and her experience here would shape the trajectory of her life. She notes, “my classes were filled with students who were predominately white, mostly from middle/high socioeconomic status families.” Conversely, she noticed that the non-AP classes were predominately comprised of Hispanic and African American students. Even as a teenager, Kathryn knew that this disparity wasn’t right and decided to pursue a career where she could make an impact on this achievement gap. After graduation, she attended Wake Forest University in North Carolina. By this time, Kathryn was very passionate about educational injustice. She founded a local chapter of the national organization, “Students for Education Reform,” the goal of which was to increase awareness of inequality within our country’s education system. The group led service projects, initiated outreach to other students, and increased their own awareness of the issue through continuous study and attendance at local school board meetings. 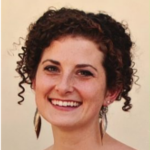 In her Freshman year, Kathryn decided she wanted to be a teacher, partially because of her own fourth grade teacher who she “absolutely loved,” and partially because of the gap in educational opportunities she had seen over the years. Kathryn’s scheduled was full of social and political science courses to deepen her understanding of the societal factors that contribute to educational injustice in the US, and though her math class wasn’t necessarily her favorite, when she earned an A in the class, she knew that math was what she needed to teach. She remembers, “I learned a lot and struggled a lot in that class, but I knew math was a really needed subject and we have a lack of math teachers, so I got my degree as a 7th-12th grade math teacher.” After graduation, Kathryn joined Teach For America because she wanted to be part of a cohort who were all “fighting the same fight.” As a founding high school math teacher at a KIPP school in Nashville, Kathryn gained incredible skills and knowledge because she was not only teaching, but wearing multiple other “hats” as well. As one of only eight teachers at her school, she had a hand in many of the decisions that were being made schoolwide, and in her second year, she served as the math coach for two new teachers. Following her dream of one day founding a school, Kathryn earned her Master’s degree in Education Policy and Management from Harvard’s Graduate School of Education. She remembers, “it was an amazing year of learning and being exposed to so many ideas. 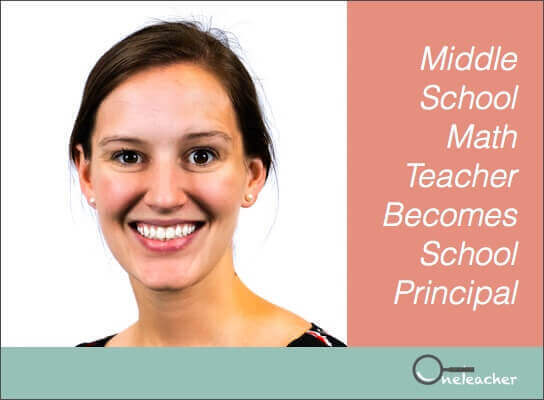 It was exciting to be able to rejuvenate and learn outside of a school building!” After this incredible experience, Kathryn was ready to get back to work in a school, and after emailing the contacts in her network, she found the matchmaking team at OneTeacher. 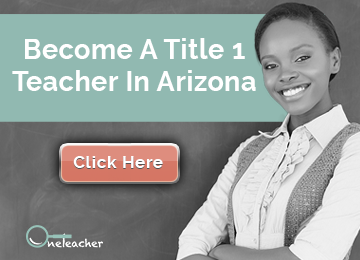 It was important to Kathryn to find a school that was focused on and aligned with her on their mission and vision, which is one of the reasons Kathryn was so pleased that the team at OneTeacher was able to connect her to Vista College Prep in Phoenix. The several rounds of interviews Kathryn completed, as well as the intentional questions she was asked throughout, showed her that OneTeacher and Vista College Prep cared deeply about getting the right people on board. 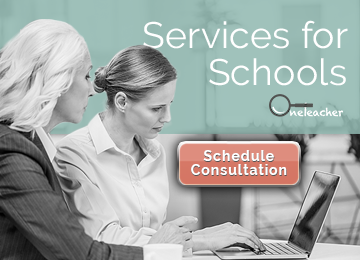 If you’re looking to hire excellent administrators like Kathryn Norcross contact the matchmakers at OneTeacher to learn more today!